For many years, experts thought that the only worthwhile wines in the world came from Bordeaux, France. All that changed in 1976, at a wine competition in Paris known as the “Judgement of Paris.” There, French judges did a blind taste-test that pitted Bordeaux wines from France against Cabernet Sauvignons from California. Much to everyone’s surprise, the California wines blew away the competition. Since the Judgement of Paris, California has been recognized as one of the world’s best wine regions. One grape California is especially known for is Cabernet Sauvignon. Different California regions produce different kinds of Cabernet Sauvignon. The hillside vineyards in areas like Howell Mountain and Mt. Veeder have thin, less rich soils, producing intense wines that, very like the wines of Bordeaux, need to be aged for years to come to maturity. In contrast, wines from the more mountainous vineyards are often big, bold, and fruity, with deep, dark colors and intense berry characteristics. In Healdsburg, California, above the Russian River Valley, below the hills of the Mayacamas Mountains, and east of the ocean, sits Clajeux Vineyards. Well-drained, rocky, volcanic soils and cooling breezes late in the day make this area a fantastic producer of Cabernet Sauvignon. One wine that truly showcases this area is the 2008 Creō Clajeux Vineyard Cabernet Sauvignon. This wine has aromas of red licorice and black fruits that are sweet like jam or preserves. There is a hint of flowers: violets and roses. On the palate, the 2008 Creō Clajeux Vineyard Cabernet Sauvignon is loaded with blackberry and black cherry. The finish is long and complex, with solid but soft tannins. 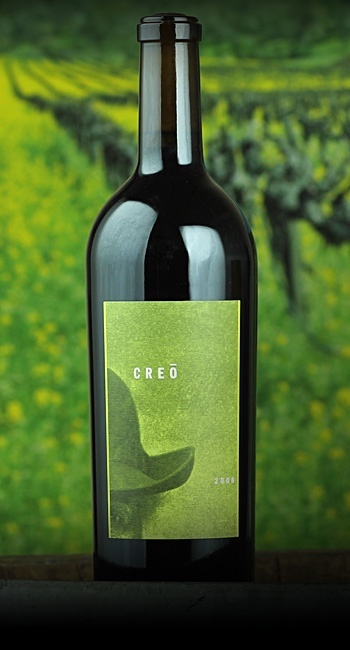 The 2008 Creō Clajeux Vineyard Cabernet Sauvignon is a rare wine that is suited to both be drunk while young, and also being aged for several years. If you want powerful fruit, drink it now. However, this is also an age-worthy Cab from the Mayacamas, and is likely to benefit from six to eight years in the cellar. For maximum enjoyment, purchase a case: drink one now, and open another every couple of years to experience how this wine changes with age and judge when it has matured to perfection. For me, going wine tasting to me is like heading out to find new friends. You will find plenty that you only keep around for a short time, but every now and then you find those lifelong relationships that you want to last for years. I had the fortune to attend a wine tasting a few weeks ago, and just so happened to come across a couple of those wines I want keep around for a long time. The first was the 2002 Lail Vineyard J. Daniel Cuvée. Lail Vineyards in California’s Napa Valley, and can trace its origins back five generations to 1879. Their 2002 Lail Vineyard J. Daniel Cuvée is made from lots of Cabernet Sauvignon. Abundant sunlight this season allowed the grapes to get extremely ripe. 900 cases of this wine were produced. The wine is elegant and stylish, with a delicate, creamy texture leading to a tasty core of mocha-laced currant, anise, wild berry and plum flavors. The tight focus keeps the flavors flowing on a long luxurious finish. If you’re not in a hurry to enjoy this lovely wine, I would recommend laying it down for another 3 to 5 years to see its full potential. The second wine that I enjoyed was a Argiano 2001 Brunello di Montalcino from Italy. Montalcino is well-known for its Sangiovese grapes. What might not be familiar to some is the name, “Brunello di Montalicino,” which is a red wine produced from grapes grown in the vineyards that surround the town of Montalcino, in the wine region of Tuscany. Originally, it was thought that a unique type of grape grew in this area, and it was given the name “Brunello.” But in 1879, experiments showed that Brunello grapes were, in fact, Sangiovese grapes, and now, “Brunello” means that the wine was produced with 100 percent Sangiovese grapes. When tasting the Argiano 2001 Brunello di Montalcino, I received intense aromas of fresh raspberry and sliced mushrooms and a hint of black olives. The wine is full-bodied, with chewy tannins. It’s long and structured. This wine would pair perfectly with a hearty Italian gravy over your favorite pasta on a Sunday afternoon with family and friends. I really enjoyed this selection. If you’re looking to add some new wines to your cellar, you can’t go wrong with these two choices. Cheers! Cabernet Sauvignon is often referred to as the “King of Red Wine Grapes.” Though it’s grown in nearly ever major wine-producing country, it is most famously cultivated both in the soils of the Left Band of Bordeaux and California’s Napa Valley, Cabernet is one of the world’s most sought-after wine grapes. Part of what makes Cabernet so special is its versatility. It yields many different styles of wine, from fruit-forward, smooth styles to big, complex wines that showcase their tannins. The flavors it imparts commonly include blackcurrant, plum, raisin chocolate, blackberry, spice and leather. There are four distinct styles of Cabernet Sauvignon. First is the fruity, fresh, and easy-drinking style. These make great everyday wines, and are smooth with little to no tannins. Then there is the intense fruit category, which makes a big impact on the palate and has detectable tannins. Third is a more complex and elegant style, with soft tannins and smooth, rich fruit flavors. This type tends to be excellent with food. The fourth style is a big-bodied, dense one. These Cabernets tend to be big, with distinct tannins that soften well with aging. The 2004 Cabernet Sauvignon Backus is absolutely mind-blowing. It has a deep ruby color with blackberries, licorice, and black cherry, with a hint of chocolate on the nose. The fruit is extremely well-focused and balanced. The 2004 Backus is a powerful wine with soft, elegant tannins. It is silky, yet pleasantly sweet. It’s a full-bodied, powerful Cabernet — very fruit-forward with balanced acid. The wine danced on my palate with cedar, ripe plums, black cherries and currant. The finish had a nice hint of mineral a sweetness that lasted a long ten seconds. After enjoying a wine like this, it makes me wish I had another glass (and an unlimited wine buying budget). If you can get your hands on a bottle (or a case), I’d highly recommend this great wine. Last Saturday, on a warm Las Vegas evening, representing Vintage Cellars, my wife Lindsay and I were able to attend the Wine Spectator Grand Tour. Wines were poured from more than 225 producers, representing 15 countries and four states. If you’re interested in good wine or learning about good wine, this is the place to be. Though I think it’s impossible to taste 225 different wines in 3 hours, by the end of the night, it looked like some people tried. As for Lindsay and I, we had a specific tasting plan that started with Champagne/Sparkling wines. I was pleasantly surprised by the Nicolas Fuillatte Brut Rose. I wanted to do a true side by side comparison of the Pinot Noir grape. I selected Louis Latour Chateau Corton Grancey Cote-D’ Or (France), Kosta Brown Russian River Valley (CA) and Domaine Drouhin Dundee Hills (OR). The Latour was a deep ruby color & showed a great expression of red fruits, raspberry & strawberry. The silky tannins were exactly what I expected from a Burgundy Grand Cru. The Domaine Droughin was a vivid red with berries fading into a very floral nose. I picked up cola and licorice on the palate. And finally the Kosta Brown had a ruby red color with nose and palate moving to from red to black fruits, strawberry to dark cherry. I loved the long mineral, spicy finish. I knew from the start I was destined to return to the Latour for another sip before the evening ended. At this point, I had to change up my palate. We were pleasantly surprised by the light buffet provided at the event. From artisan cheeses, a couple of pasta dishes, a carving station and desert plate, it was enough to satisfy our dinner plans. Just a quick stop before we were back focused on the next stop. Next was the face off of California Cabernet and Bordeaux. Though the list was extensive (and we eventually tasted more), I focused on 2 of each to start. From France, I selected Chateau Smith-Haut-Lafitte and Chateau Lynch-Bages. From CA, I selected a couple of Napa Cabs, Kathryn Hall and Joseph Phelps. To be completely honest, the Bordeaux’s were young and they need some time to rest. Sure it would have been nice if there were a Premier Cru there, but I guess when you sell bottles for over $1000, you don’t pour them in Vegas. I enjoyed the Joseph Phelps but the 2009 Kathryn Hall Napa Valley Cabernet stole the show. A deep ruby-red. Ripe aromas of dark fruits, baked berries and a hint of chocolate. Sweet , intense but balanced and ends a hint of oak, coffee and black licorice. This was powerful wine with plenty of ripeness and depth. In my opinion, buy now or forever hold your peace. Put a case in your cellar and enjoy today, opening one every year to follow its development. From this point on, I was done with the “professional” portion of the evening. Lindsay had been enjoying all along and it was time for me to drink the wines and not spit. Together we did a tour through Italy, Spain, Portugal and some new world wines (Australia, New Zealand and South Africa). I found the Sangiovese grape to be a favorite, especially from Brunello di Montalcino. Riojo might be my favorite region in Spain, especially the Grand Riserva’s which have a minimum of 5 years of aging. There is so much more “research” to be done in both of these countries. I enjoyed the Graham’s 20 year Tawny Port, but then again, who doesn’t like the rich toffee notes a good tawny provides? As for the new world, I found something I don’t like, Cloudy Bay Sauvignon Blanc from New Zealand. I couldn’t find any fruit notes over the green pepper and jalapeno nose. The palate had an intense salsa punch. I like salsa with chips but not in my Sav Blanc. Of the 225 producers, we did our best. I took tasting notes on 37 wines (remember, I had to spit for about half of those). One last highlight, we did finish with the 2005 Chateau Suduiraut Sauternes. If you have no experience with Sauternes, I highly recommend you take your nose and palate for a ride. We are looking forward to the event again in the future. The Grand Tour was classy, with quality wines, good food and surprisingly not crowded (even though the tickets were sold out). A fantastic experience, as long as you can control yourself in the casino before the 7PM start time. 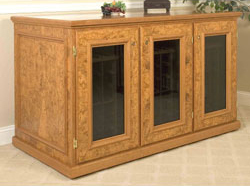 Jake is Vintage Cellars’ Wine Cellar Specialist. Each month in Jake’s Corner, he shares his wine insights, reviews, and tips with you! Check out Jake’s last post here. A “Red Rhone Blend” (a wine made from two or more traditional Southern Rhone grape varieties), this rustic French wine is a well-balanced, fantastic find! Consisting of 38% Cabernet Sauvignon, 33% Carignan, 20% Grenache, and 9% Syrah, its slight barnyard nose, common to many “old world” wines, also includes blackberries, raspberries, and candied scents. On the tongue, wild berries, raspberries, wood, herb, smoke, and a candied grape taste give this wine quite a unique-yet-well-integrated personality. With good texture and a medium body, this complex wine will pair successfully with virtually any meal. Its finish is excellent, being long, satisfying, and persistent; the intensities of the dissipating flavors are close to equal, which helps one better appreciate the counterpoint of flavors. Because of its age and complexity, this wine is best served decanted. A decanter like the Riedel Tyrol wine decanter does justice to this “old world” wine quite nicely. (Plus, you and your guests will be able to better see and appreciate this special wine’s beautiful, dark blue-red hue.) Though the prominent aromas and flavors are even better if decanted an hour before consumption, any length of time this wine spends mingling with the air helps to maximize enjoyment. Cheers! I’ve been a big fan of Gnarly Head’s Cabs for many years, and the Gnarly Head Cabernet Sauvignon 2009 is no exception. This regal, concentrated wine is rich with dark fruit flavor (currants, black cherries, and tart cranberries), and has a velvety “cab” texture that briefly exposes its well-integrated tannins just before a subtle taste of cloves and violets. Its consistent, black peppercorn “spice” makes it a perfect companion for meals with meats. Traditional “steak and potatoes” will always be a good combo, but the wine seems to pair even better with lamb dishes; lamb chops, roast leg of lamb and rack of lamb are perfect companions for the Gnarly Head Cabernet Sauvignon 2009. The wine works cooperatively with Italian dishes, too, especially pastas with tomato or cheese sauces, or meatballs. A glass to accompany a robust cheese ravioli or tortellini plate is quite nice! 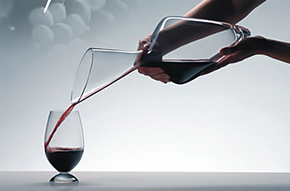 And decanting a bottle makes it even more immediately amazing. 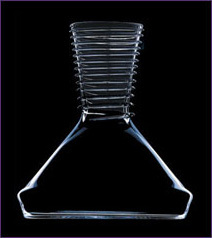 Try using a stately Riedel Sommeliers Magnum wine decanter to help you quickly open this impressive wine. Cheers!